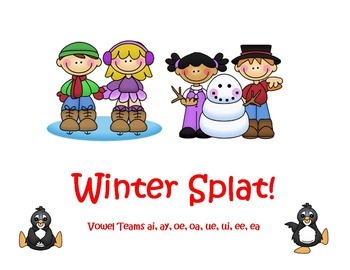 Vowel Teams Splat! is a fun and engaging activity to review and practice decoding and reading common vowel teams. 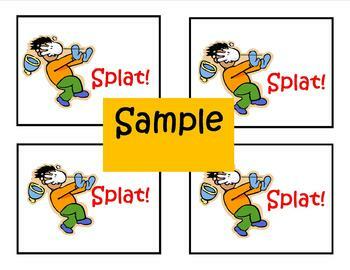 Use with a small group or as a learning center activity. Children draw cards and decode the words. If a player draws a splat! card, he or she must lose all the cards. The winner is the player with the most cards at the end of the game. This download is illustrated with clip art for the holidays and for winter. It features ai, ay, ee, ea, ie, y, oa, oe, ui, and ue words.